Hinged Colonial Shutters provide an elegant alternative to the storm and security protection need of any building. These hinged colonial shutters are totally constructed of extruded aluminum that offers strength without compromising on beauty. Designed to protect the structure against storm force winds and driving rains, the Ultra Hinged Colonial and the Standard hinged Colonial shutter close easily and effortlessly. JS Construction 2 LLC's line of Ultra Hinged Colonial shutter is the only colonial style shutter to pass the stringent Dade and Broward County impact and wind loading test. Colonials can add to the overall feel of your home, custom designer colors can be coordinated as needed. Are permanently affixed beside the windows and don't require any extra storage space. Are decorative; they can beautify as well as protect your home. 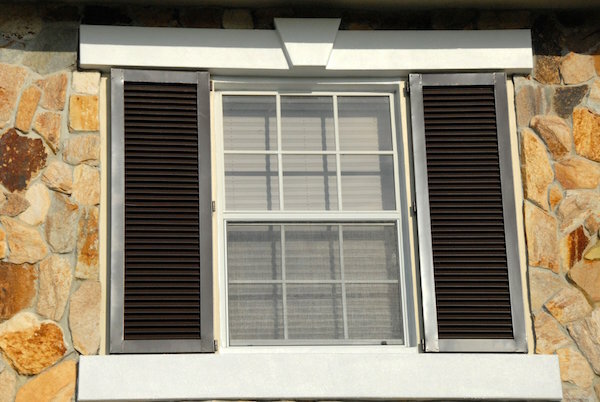 Some types of colonials require a storm bar or center rod to lock the shutters in place. This can increase installation time. Can't be used to protect doors, and must be combined with another shutter system to ensure complete home protection.